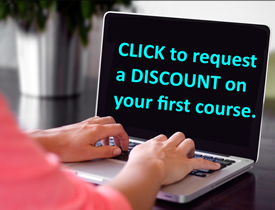 “Money for Classrooms ” - 15 Hour Self Study Online Course for Teachers. Every teacher wants to give the best to their students. No one wants a child’s education to be hindered by money or resources. This course provides teachers with well-researched money saving and seeking strategies that can be implemented while working within a limited budget. This course will help teachers to maximize their classroom budget and raise funds for innovative ideas and projects. Teachers will learn to create effective budgets, write grants and create fundraising campaigns while connecting with community stakeholders to support educational endeavors in the classroom. Additionally, teachers will be able to involve and inspire students through re-using and recycling resources. This course takes inspiration from teachers in the field who are creative and thrifty in their classrooms. No Reviews of “SELF-STUDY: Money for Classrooms (15 hours)” yet.